ClubCoins Necesarios: 36 Please note that, for now, you cannot download content from our platform directly onto a mobile device (phone, iPod, iPad, tablets...). You need to download your items onto a PC or Mac, and then transfer them onto your device in the normal way. We are working on allowing direct downloads to mobile devices but this is not possible in the current version of the platform. Sorry about the inconvenience! The Grimm Brothers, Jacob and Wilhelm Grimm, published the first collection of Grimm's Fairy Tales in 1812. These enthralling tales are enjoyed by young readers even today. 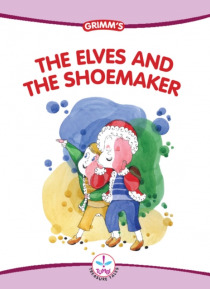 Here comes the enchanting tale of The Elves and the Shoemaker especially for you.